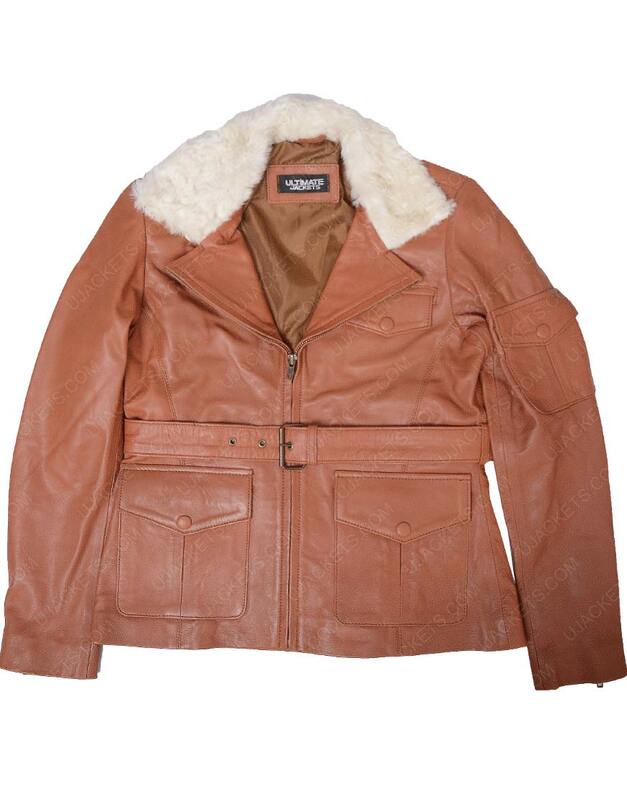 It is especially manufactured from real genuine leather material with full viscose lining inside giving it a warmer and smoothing touch for all conditions. 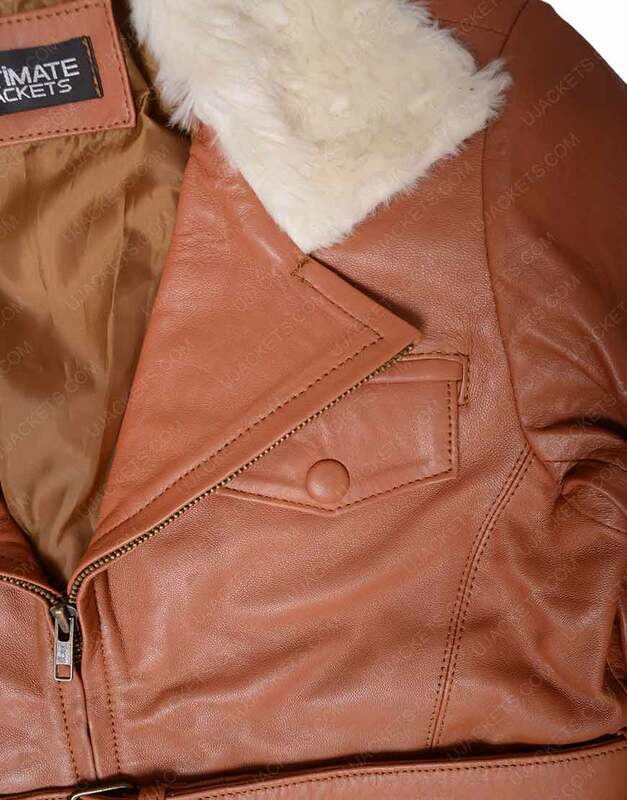 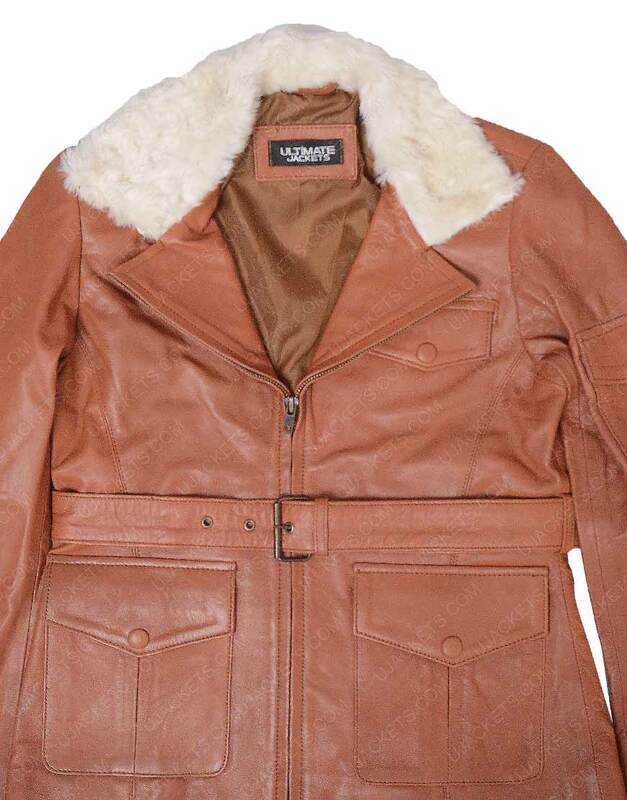 This Amelia Earhart Jacket has a very creatively fabricated board type fur collar style confined on the neckline making this outfit look extremely elegant. 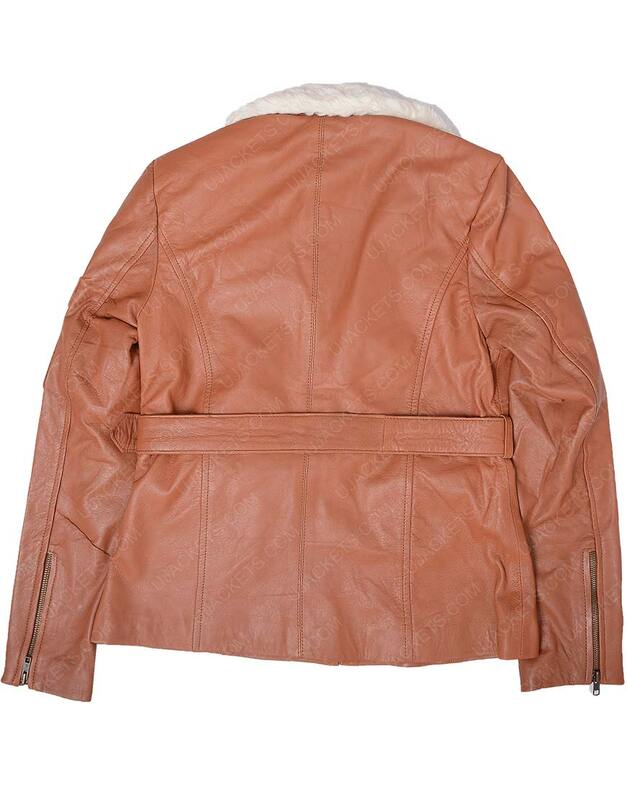 It has full length sleeves with zipper cuffs and exclusively available in brown color with premium stitching.